You’ll find the right space, in the right places, in the Leland. On the first floor, an airy kitchen with island dovetails with a café area and gathering room, while an outdoor patio is perfect for barbecuing with friends and family. A staircase at the entry leads to a second floor owner’s suite, complete with a spacious walk-in closet. Two additional bedrooms are perfect for guests or your own flex space. 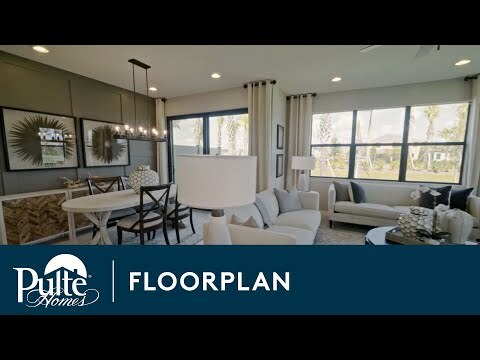 Step inside Leland to see the Life-Tested Home Designs® with more usable space where you want it most. So you live the way you want to live. The Leland is an open townhome design known for its sunlit, flow-through spaces, ample storage, and distinguished owner’s suite. Even more impressive are the designer options. Enhance your living space with beautiful wood or plank tile flooring, add a stylish glass tile backsplash to the kitchen, or unwind in a soothing garden tub in the owner’s bath. The two-story Leland is ideal for entertaining, featuring a kitchen with large center island overlooking the great room, café, and covered lanai. The private owner’s suite, including a spacious walk-in closet, is the perfect oasis.